Mike White is continuing to stockpile his roster for the future. In this particular case, that future is a bit distant, but nonetheless, it’s a clear roster upgrade. 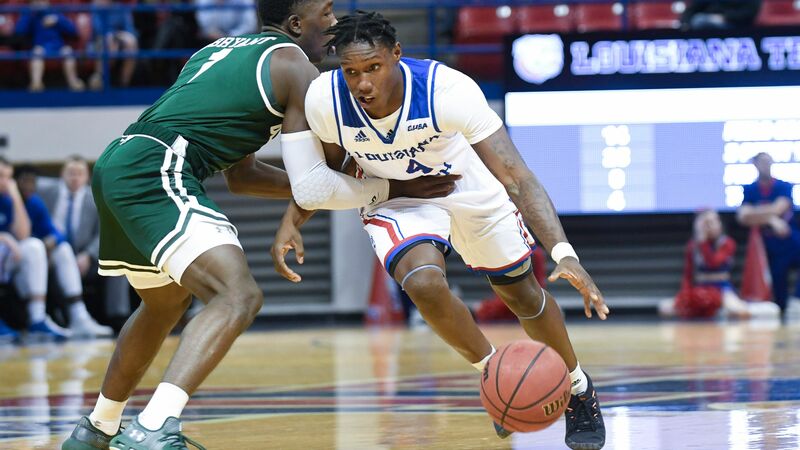 Reports are surfacing that Louisiana Tech forward transfer Anthony Duruji has decided to become a Florida Gator. There’s a catch, though. Duruji will have to sit out a year before becoming eligible, but the good news is that he will have two years of eligibility. Duruji, a Conference USA all-freshman selection, projects to be an immediate starter at either the 3 or the 4 position, and boasts a freakish athletic ability (46.5 inch vertical leap) that he’s been able to translate into production (12.2 points, 6.2 rebounds and 1.2 blocks per game last year) at Louisiana Tech. The irony here, of course, is that Louisiana Tech was also Mike White’s previous stop as a coach, but the two never had anything to do with each other there. Duruji committed to LT in May of 2016, about a year and a half after White departed for Florida. But maybe they were meant to be together after all. Rebounding (and a paint presence, period) has been White’s major weakness in his four years in Gainesville. And though he’ll have a wait a year to begin using him, at least he has proven able to identify that major weakness and do something to fix it.